One of Jurgen Klopp’s greatest achievements at Liverpool has been improving the depth of talent in the squad. Over a number of recent transfer windows, the German has assembled a talent-rich panel with a focused transfer strategy that has both addressed key problems and offered competition for places. It means the Reds are now adequately equipped for a title challenge and, while Klopp will surely be pleased with what he has seen from his players this season, he can also draw encouragement from the performances of those he sent on loan. Our friends at Football Whispers examine how ten Liverpool players are faring on their various loan spells elsewhere. The Serbian midfielder has started three Bundesliga games for Hertha, who are flying high in the German top-flight in fifth place. Unfortunately, Grujic’s progress has been hampered by injury and he has not played since September 22. Having made a promising start to the season, Klopp will hope the talented box-to-box player can regain his fitness and help Hertha clinch a European spot. It hasn’t been plain sailing for the 25-year-old, though, who made an error on his debut for Besiktas – which cost them two points – and was also culpable during the Europa League defeat to Malmo. Even if Karius improves during his time in Istanbul, the chances of him re-establishing himself as Klopp’s first-choice keeper are slim considering Alisson’s impressive start to life at Anfield. The 21-year-old winger signed a contract extension with Liverpool at the end of August before being sent out to Ligue 1 to gain experience. The England U21 international has found starts hard to come by, however. He couldn’t get into the game during a 4-1 defeat to Paris Saint-Germain after a fairly promising first start in a 0-0 draw with Dijon. Over the last couple of weeks, he has had to be content with late cameos for the strugglers but certainly possesses enough natural ability to help turn their season around. Another Liverpool keeper out on loan, the Hungarian has enjoyed a better time of it than Karius. The 31-year-old has been ever-present for Neil Lennon’s men this season and has kept four clean sheets in the Scottish Premiership to help them to second in the table, two points behind pacesetters Hearts. If he continues in a similar fashion, the former Bolton keeper will be on course to have arguably the most productive loan spell of all Liverpool’s players. 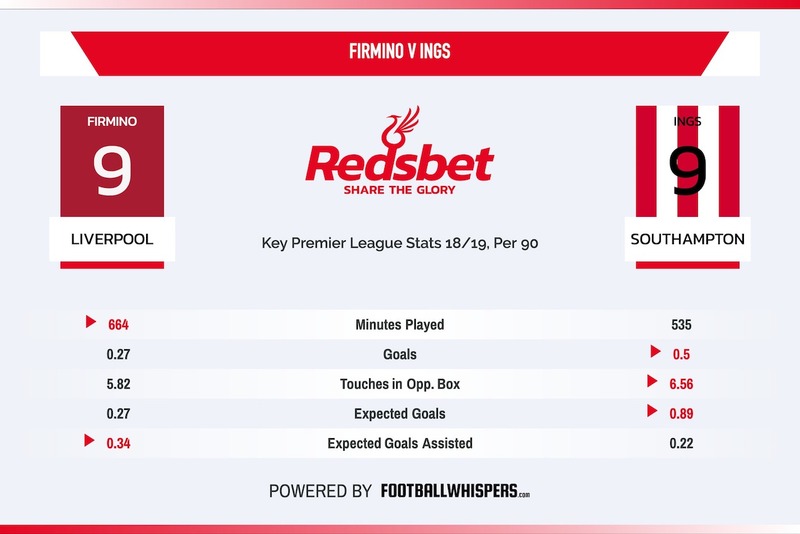 The only man on this list at one of Liverpool’s Premier League rivals (if you can call them that), Ings started the season impressively, scoring three goals in the space of four games which helped the Saints to a win over Crystal Palace and a draw with Brighton. He also netted in their recent Carabao Cup victory over Everton but endured a frustrating afternoon against Chelsea, cutting an isolated figure up top as the Blues strolled to a 3-0 win. The 26-year-old striker will look to get back to scoring ways when he travels to former side Bournemouth on Saturday. Amazingly, Ings tops the xG per 90 charts for Premier League strikers with 0.89, edging Jamie Vardy and Sergio Aguero among others. Clearly, Ings is going to be crucial to Southampton’s survival chances this season. The 22-year-old full-back’s stint at the League One side was frustratingly interrupted after he fractured his cheekbone. He returned to Liverpool to undergo rehabilitation and is expected to be out for at another two months. Considered a big talent, Woodburn – who this week turned 19 – joined the Blades in the summer but has struggled to make an impact at Bramall Lane. Much to the Welshman’s frustration, first-team opportunities have been elusive and, with four wins on the bounce, manager Chris Wilder may be understandably reluctant to alter his winning formula. However, having been excluded from the last three matchday squads, Klopp will hope Woodburn can work his way into Wilder’s plans over the course of the season. Despite an early-season groin injury, Woodburn’s compatriot’s time in the Championship has been much more fruitful. The 21-year-old caught the headlines in September when his brilliant free-kick helped knock Manchester United out of the Carabao Cup. Proving it was technique rather than luck, he repeated the feat for his country to down Ireland this week in Dublin. Wilson has impressed Rams boss Frank Lampard and, with Klopp keeping a close eye on his progress, the winger will be desperate to continue in the same vein and help Derby’s push for promotion. Having previously spent time on loan at Coventry, Barnsley, Freiburg and Bristol City, the 21-year-old linked up with former Liverpool captain Steven Gerrard at Ibrox. Kent has really caught the eye for the Gers, too, with his pace and direct running from wide areas an exciting feature of Gerrard’s attacking plan. He was voted Rangers’ Player of the Month for September and built on that achievement by scoring the opener to help condemn Hearts to their first defeat of the season. Gerrard has been full of praise for Kent, who has reportedly indicated that he would be open to a permanent move to the Glasgow side. Another Reds starlet helping Gerrard during his debut season in management, the 20-year-old midfielder has also featured prominently over the last few months. Having been criticised for failing to stop Celtic’s winner in the Old Firm defeat back in September, Ejaria has gradually grown into his new surroundings and really caught the eye in the recent Europa League victory over Rapid Vienna. As he continues to build confidence, Ejaria could prove key in Gerrard’s plan to depose Celtic at Scottish football’s summit.